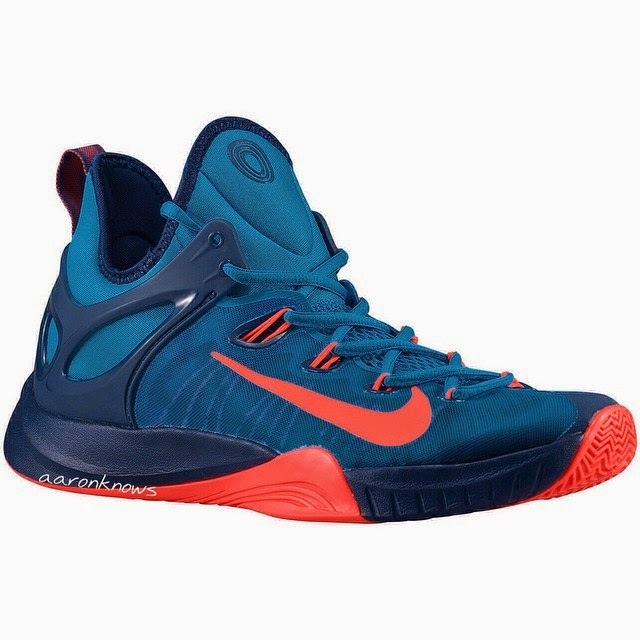 Here is an image of the next HyperRev shoe from Nike. It still has that minimalist look promoting comfort and lightweight with some changes that could improve its performance. The support on the heel and ankle area somewhat reminds me of the Nike Presto. Flywire is still there in the lacing system for support with Zoom cushion for responsiveness on court. Stay tuned to Analykix for more news regarding this model's release date and price.